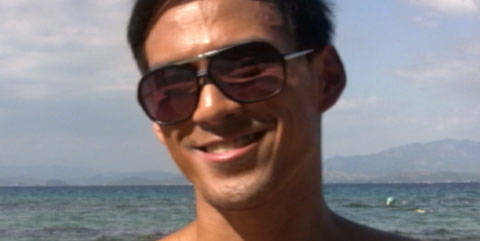 Watch behind-the-scenes footage from our shoot with the singer-actor at Camayan Beach Resort in Subic, and listen to the little details he reveals about himself. This hot singer-actor may fall in love easily, but we know he's a keeper. Find out what makes him boyfriend-material in this week's feature. He made quite an impression on you at the Cosmo Bachelor Bash and Cosmo.ph Singles' Bash. Now, satisfy your craving for more of this hottie all month long. At last week's Cosmo.ph Singles' Bash, we got our hot male guests to give single girls tips on what to do and where to go if they're single and wanting to mingle!